Kevin Perese is a Principal Analyst in the Tax Analysis Division at the Congressional Budget Office. 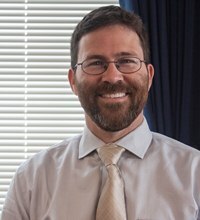 Over the course of his career, he has worked on a broad range of simulation and forecast models in government, business, and nonprofit sectors. Most recently, he has estimated the effects of federal spending and revenue policies on household well-being and analyzed the trends in how federal taxes and government transfers have affected measures of income inequality over time. Previous work at CBO includes developing CBO’s model of revenues derived from Federal Reserve remittances to the Treasury, estimating the distributional effects of a carbon tax, and rebuilding CBO’s corporate income tax model. He also worked in CBO’s long-term modeling group where he estimated marital formations in CBO’s Long-Term model, which is a dynamic microsimulation model designed to analyze the Social Security system. Prior to working at CBO, Mr. Perese worked at Fannie Mae forecasting mortgage delinquencies and defaults and at the Urban Institute where he worked on a variety of microsimulation models. He holds a BS with honors in economics from the Pennsylvania State University and an MA in applied demography from Georgetown University. Mr. Perese will discuss his recent work on how fiscal policies affect household well-being and measures of income inequality. In his presentation, he will compare and contrast the findings from two recent papers: The Distribution of Federal Spending and Taxes in 2006 (coauthored with Molly Dahl) and The Distribution of Household Income and Federal Taxes, 2011. Although the two papers address similar issues, they use slightly different methodological approaches and data sources, and thus provide different insights into an important topic in public policy. The lunch is 12:00 noon to 1:30pm at Chinatown Garden, 618 H St NW Washington, DC. Metro stop: Gallery Place. The cost is $16 Members, $16 Affiliated, $25 Non Members . This luncheon is a joint event with the NEC. To register for the lunch with Kevin Perese on Thursday, June 18th, 2015, please go to The National Economists Club and use the code “AFFILIATED”.